Home › FAQ › Can You Have Multiple Minors in College? Before you spend so much time focusing on choosing a major that you forget about your minor, ask yourself in selecting multiple minors in college is the right option for you. Students have the option of choosing a minor that relates to their chosen career paths or picking a field of study that interests them and exists outside their field of study. Before you go all out and minor in multiple fields, you’ll want to take a look at a few things. A major is the field of study that you select and agree to spend much of your time in college working in or on. Majors might include history, psychology or business. A minor is completely separate from your major. While you might take 30 credit hours or more of courses relating to your major, you can usually fulfill you minor requirement after taking just three or four classes, and some of those classes may be required for graduation. A minor may or may not have some connection to your major. Jessica Rogness of The Daily Californian, recommends that you select a minor that relates to your future career and a topic you feel passionate about. Many students make the mistake of selecting a minor, just because they want to take classes in a specific subject without realizing that they have no use for those classes. Whether you select a single minor or multiple minors in college, you should choose a topic closely related to your future career or your current field of study. You might minor in Spanish while studying business, communications while studying education or women’s studies while taking courses in a law program. One reason why so many students end up with multiple minors in college, is because fulfilling the requirements of a minor is so easy. Many colleges do not require that you officially declare a minor, and some schools let you complete a minor after taking just a few classes. Depending on the requirements of your program and the electives that you take, you might finish off two minors without knowing it. If you do decide to select two or more minors, make sure that the classes you take will fulfill other requirements such as your electives. Taking multiple minors lets you study unique and unusual topics like African American studies or film studies. Keep in mind that choosing too many minors may make you look flaky and/or unreliable. This is especially true if you plan to attend graduate school. Those schools will look over your transcript closely when determining if you deserve a place in the program. You will likely face questions regarding why you took so many different types of classes and why you didn’t narrow down your field of study. Employers who ask questions about your college degree and those who require an official transcript may feel the same way. 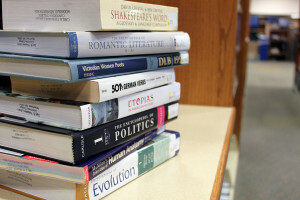 Declaring a double major is common among college students who want to study multiple topics. You can study two or more topics without double majoring when you select multiple minors. Before choosing multiple minors in college, think about how those extra courses you take will apply to your future career and how those classes can impact your future.